Leeo is a Wi-Fi connected smart nightlight that sends notifications to users’ smartphones when fire and carbon monoxide alarms sound in their homes. Ahead of Leeo’s public rollout, Noble was tapped by our partners at the Ammunition Group to serve as UX/UI consultants and as E-commerce experts on a new site. Noble’s Strategic Services team performed extensive keyword research and made recommendations based on those findings. Built on WordPress and Magento, Leeo’s site is fully responsive, working across a wide array of devices. Although it’s primarily a nightlight, Leeo has smart home features such as the ability to alert you when fire alarms sound in your home when you’re away. 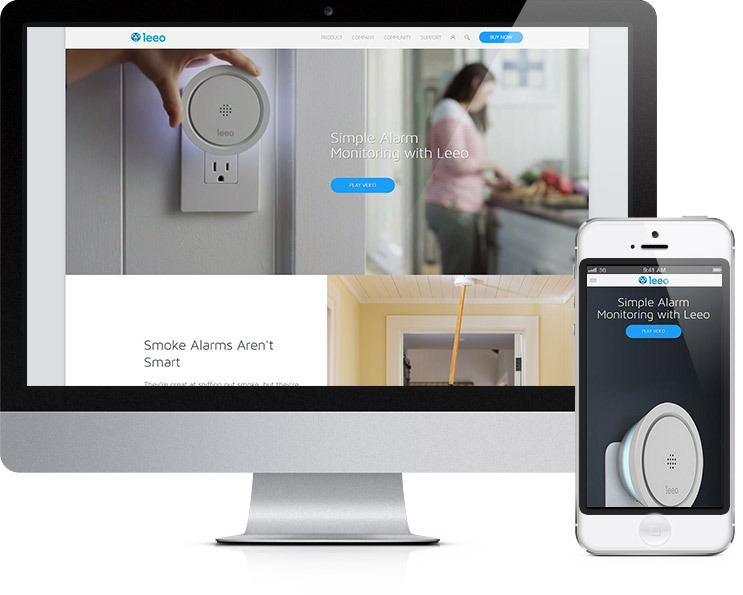 Leeo customers can monitor humidity and temperature inside their home using the Leeo app. The Noble team brought Ammunition’s concepts to life by building out Leeo’s fully responsive E-Commerce site on the Magento platform and creating its marketing pages on WordPress. The site included community platform Jive and features custom integration for Single Sign-On with Identity Provider Okta and robust server-level infrastructure across Pantheon and RackSpace. All of which is a very technical way of saying we made the store work properly from the get-go. To help streamline the returns process, we built a custom application that provided a vital connection point for handling the interaction between Magento and Leeo’s fulfillment company. One of our priorities in building the store was the ability to move customers smoothly through the conversion funnel while delivering a site that remained scalable for future expansion. 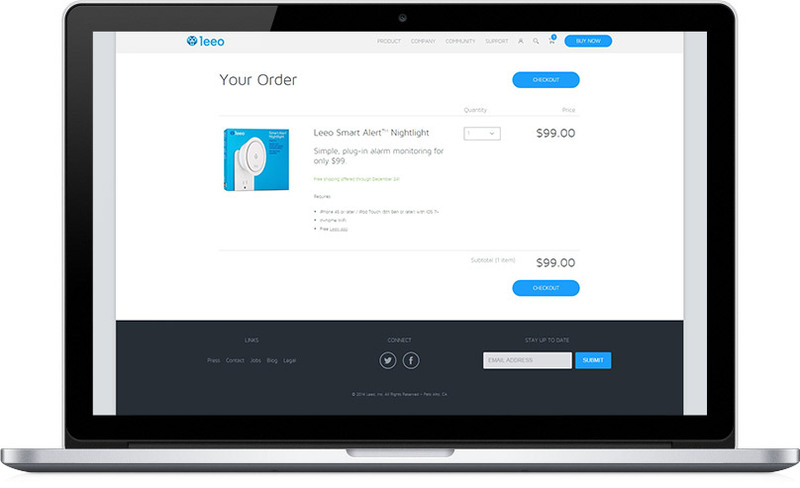 Although Leeo launched with a single product in its store, the start-up will soon expand its offerings. With this in mind, we built the site with scalability in mind to accommodate multiple future products. We set the Leeo team up with a custom DOMO dashboard that gives the company a 360-degree view of all of its analytics in real-time, on one platform. We’ve also rolled out a keyword-based campaign to drive consumers to the store. Our text ad campaign is pushing sales of the Leeo smart nightlight to smart home aficionados and not-so-tech-savvy consumers alike. This campaign has given Leeo valuable insight into what its customers respond to and what will further drive them through the conversion funnel. Continuing our relationship with Leeo, Noble Studios will perform web maintenance and provide SEM services for the startup.